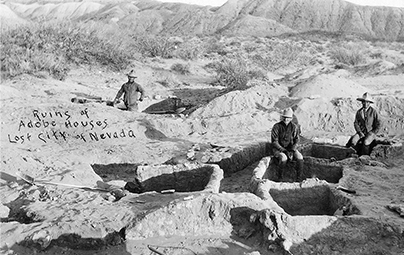 The story of encounters between the indigenous communities and non-native inhabitants of Nevada is complex and varied. Within decades of the first recorded meetings of Euro-American explorers and the native tribes of the Great Basin, Nevada became a U.S. territory and then a state. 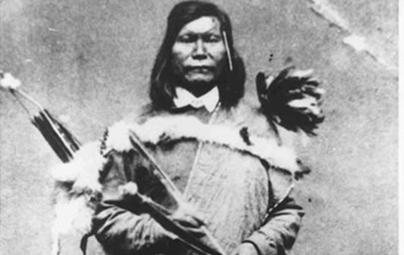 Very quickly, its native peoples faced a rapidly changing environment in which it became a challenge to continue their traditional way of life. For their part, American and European settlers, faced with cultures and beliefs vastly different from their own, greeted the unfamiliar with a spectrum of responses ranging from outright hostile to deeply sympathetic. 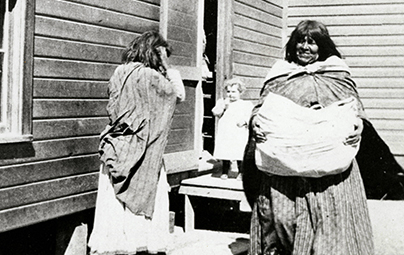 Many found it difficult to incorporate members of the Washoe, Western Shoshone, Northern Paiute, Mojave, and Southern Paiute tribes they met into the world they knew and the state they hoped to build. Others did their best to help Nevada’s diverse communities thrive together. Over the next 150 years and more, these groups of people encountered each other in a variety of roles: as antagonists and peace-seekers; as employers and workers; as researchers and subjects; as teachers and students; as artists and audiences; and as colleagues, neighbors, and friends. Although not strictly chronological, the four categories of encounters discussed here follow a rough but overlapping progression through time. Read about our history by exploring one of the themes below. Initial contact led to acts of aggression, discrimination, and forced assimilation, but also examples of compassion and sympathy. 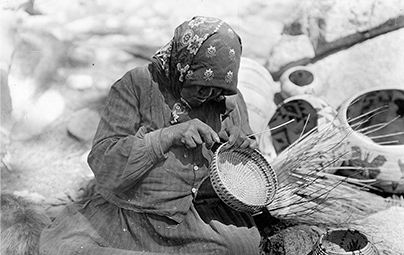 Many anthropologists, archeologists, and ethnographers are dedicated to studying the lives and cultures of Nevada’s indigenous populations. Natives and non-natives increasingly worked together but lived apart as tribes gained greater political autonomy, legal rights, and land. Recent decades have brought a growing appreciation and awareness of ancient, traditional, and contemporary native art forms. This section supported by a grant from the John Ben Snow Foundation.